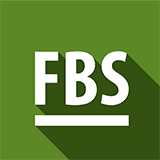 Overview: The IFSC regulated FBS has branches around the world in China, Indonesia, Egypt, Malaysia, Thailand, Myanmar and Korea. It has won awards and offers trading mostly in Asia. Choice of various trading accounts and platforms offers something for every kind of trader. Accounts: Standard accounts for experienced traders, Cent and Micro accounts with small initial deposits, Zero Spread account for fast trading, and high-tech ECN accounts. There is also an unlimited account for top traders. Spreads vary in standard accounts and from 0.1 pips in ECN and unlimited accounts. The Cent account has order volumes of 0.01 for 1000 cent lots. Even with the cent and micro accounts, traders can trade with any strategies and robots without any restrictions. Demo accounts can be opened with any account type. Segregated accounts are available where 70 percent funds can be stored in the trader’s personal bank account. Features: FBS offers MetaTrader 4 and 5 for various OS and systems, including mobile and web. Trading is commission-free and bonus accounts earn special bonuses. Traders can also insure anywhere between 10% to 100% of their deposits on Cent, Micro and Standard accounts. In case of losses, FBS compensates. FBS also offers an affiliate program and a variety of promotions and bonuses. Education: Market analytics, trading tools and forex education is offered. Deposits/Withdrawals: Deposits and withdrawals can be made in a variety of ways. Bank wire has a minimum withdrawal amount of USD 200. Customer service: 24/7 chat support. Several international phone numbers are also available for multilingual phone support. User reviews: Check out more FBS Reviews below. My experience With FBS is really bad. After trading with FBS for 12 months when i wanted to withdraw some of my money they make difficult complicated process.